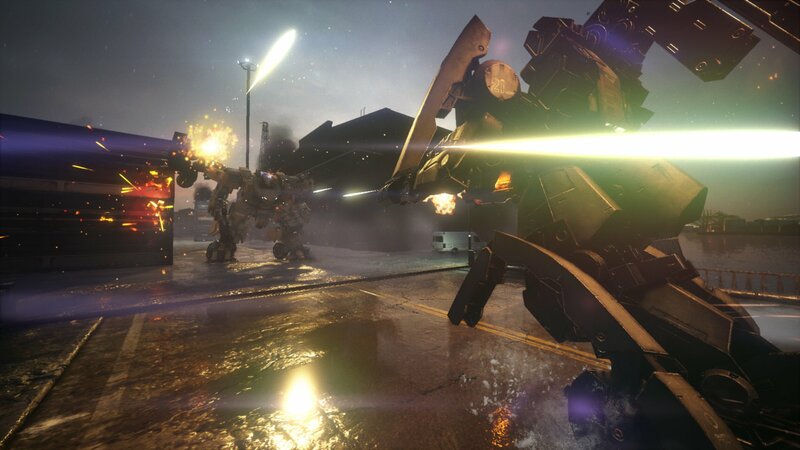 Left Alive began with plenty of promise. Set in the Front Mission universe and having recruited the legendary Metal Gear character artist Yoji Shinkawa, it had every chance to succeed. Though decidedly Metal Gear-like in execution, however, it ends up failing to engage, instead appearing as though it's destined for bargain bin status in the near future. In several ways, it can be likened to eating a gas station burrito. It looks and feels like a delicious meal, but once you bite into it, you see how far from the truth that really is. First, the elephant in the room. This is a game set in the Front Mission universe that's devoid of most connections to the popular mech series. Aside from Wanzers (the mechs seen in the Front Mission games), you'd be hard-pressed to point out any viable references to the series. Most of the Wanzers just walk around in the background, just out of reach. It's kind of a metaphor for the type of game Left Alive is. There's excitement hiding just in the periphery, but it eludes you at nearly every turn. There are a few mech battles, of course, but they're few and far between. Most of the game is actually spent walking around, ducking behind cars, wreckage, and conveniently-placed walls so you can try to get shots in at the various solders dotting the landscape. It feels almost as if it's trying its best to mimic a Metal Gear Solid game, with third-person action and stealth-centric missions. Unfortunately, it utterly fails at doing so. There's also the lack of connections to Front Mission beyond the insistence that the game does so as well as the aforementioned Wanzers. It has a ton of potential there to draw from the popular series, but simply chooses not to for some reason. With that, there are some occasional flashes of brilliance related to getting to hang out in mechs in the game, but those moments are over just as quickly as they appear. 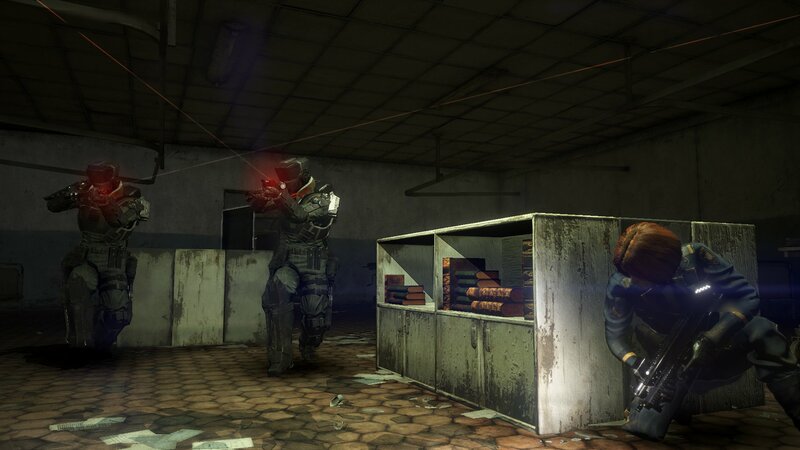 For a stealth game that relies on stealth elements to push the narrative along, Left Alive seems determined to knock you down not until you can't get back up again, but because you simply don't want to. Whether it's the lack of one-hit stealth kills that could (but don't) reward you for slinking around the way the game wants you to the way it consistently switches gears without preparing you, it's frustrating at every turn. It's not enough that the game is shoddily crafted and needlessly annoying, though. It also feels the need to throw other insipid mechanics at you. For one thing, the autosave doesn't always work correctly, or when you need it to, meaning you'll have to contend with the same areas over and over when you fall in battle. Thanks to the fact that the AI routinely exhibits ridiculous strength and superhuman abilities (especially when it comes to detecting where you are on the map), you'll be eliminated far more often than feels fair. 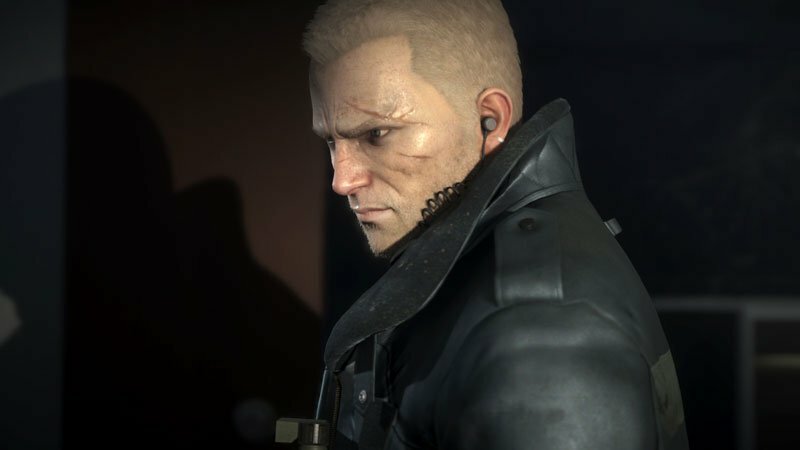 Stealth games should empower you to crawl around silently and taking out enemies, not discourage you from improving your technique by making your enemies feel omniscient. Left Alive must have missed that memo. While I appreciate the character designs (thanks to Yoji Shinkawa), the graphics leave a lot to be desired. In some segments, it feels like you're looking at a PlayStation 3 or earlier game. There's a drabness that permeates just about every corner of the game, from character animations to the sloppy way enemies run up to you and gun you down. It certainly doesn't seem like a game that spent more than a few months in development on this end, which is disappointing considering the kind of talent that was brought on especially to make sure the characters, for one, looked great. Voice acting and accompanying musical tracks are serviceable – not particularly awful or anything, but not memorable in any real way. In the end, Left Alive remains a muddled mess of things that could have been. It feels as though it was rushed in every conceivable way. While it's certainly playable and even interesting in certain places throughout the game, it utterly fails at being a polished title with a compelling enough campaign to warrant a complete playthrough – unless you're reviewing it, of course. Throughout it all, I was never angry at the game for being little more than a haphazard, slapdash creation, but more disappointed. Front Mission is a fantastic series with a lot to give. We haven't heard from it in quite some time, and a new game set in the same universe could have knocked it out of the park. 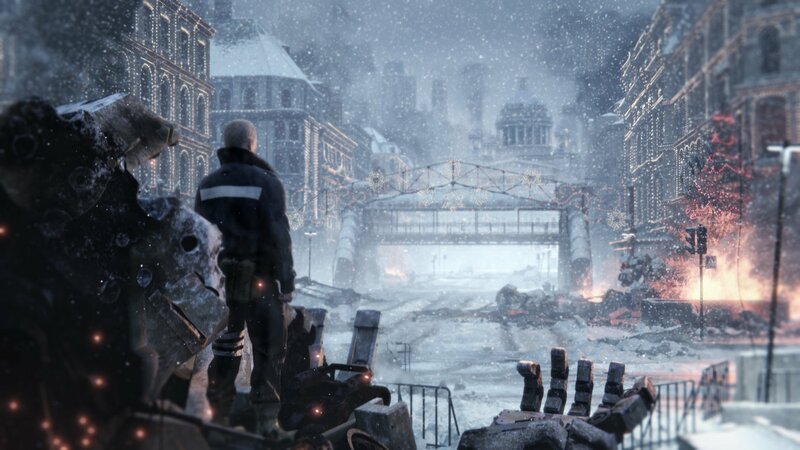 Instead, we're left with Left Alive, which looks as though it's been all but left for dead as Square Enix seems to be sweeping it under the rug. This review is based on a PlayStation 4 download code provided by the publisher. Left Alive is available via retail and digital stores now on PlayStation 4 and PC via Steam. It has been rated M for Mature by the ESRB.